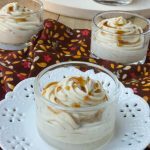 This Low Carb Butterscotch Cheesecake Mousse is a no bake recipe that contains no added sugar and is quick and easy! Afternoon snacks when everyone is done with school is something my family really looks forward to. They want a little something sweet and I want something easy. 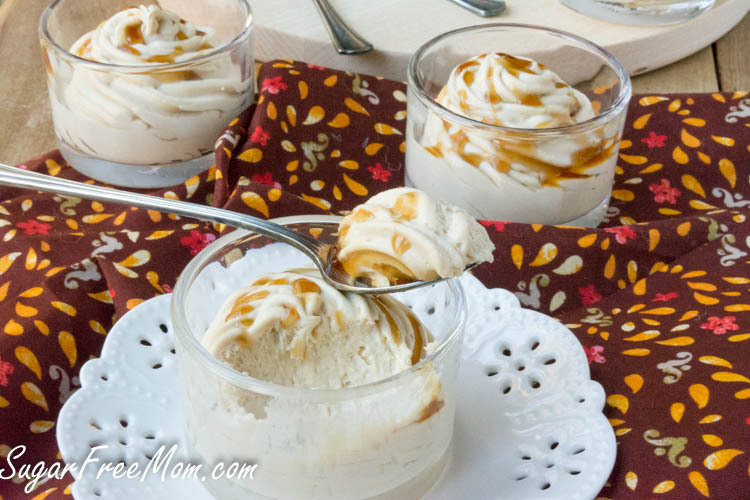 The butterscotch flavor is one they have loved forever. I actually had started a new recipe that I was thinking would have been great as truffles, but they just didn’t form or set as I had hoped. 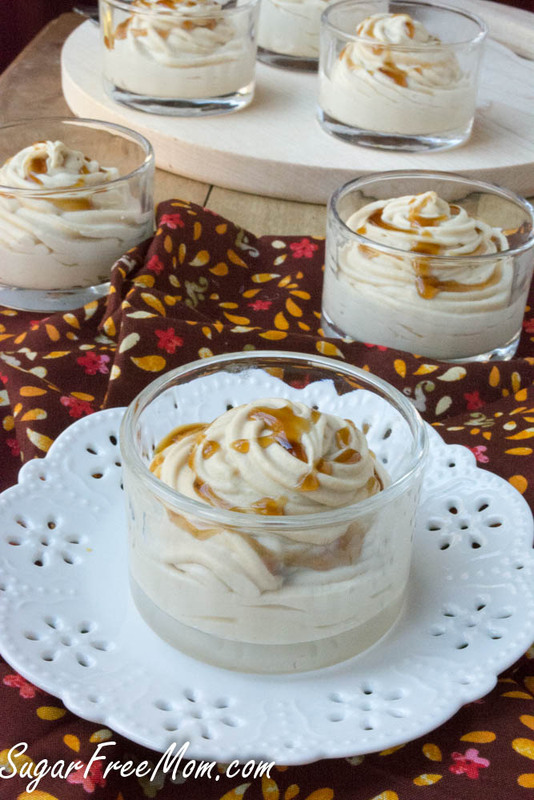 Fortunately the flavor was so much like butterscotch I new I had a winner and had set out to make more of a pudding consistency. 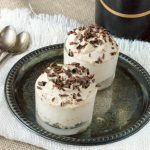 But after the kids had tried it, they actually said they preferred a thicker consistency, more like mousse. 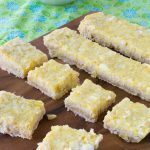 So I changed a few ingredients to make this a favorite new treat! It truly blesses me when my kids love my no sugar added treats and ask when I will make them again. It makes me even happier when they come out even better than I expected! 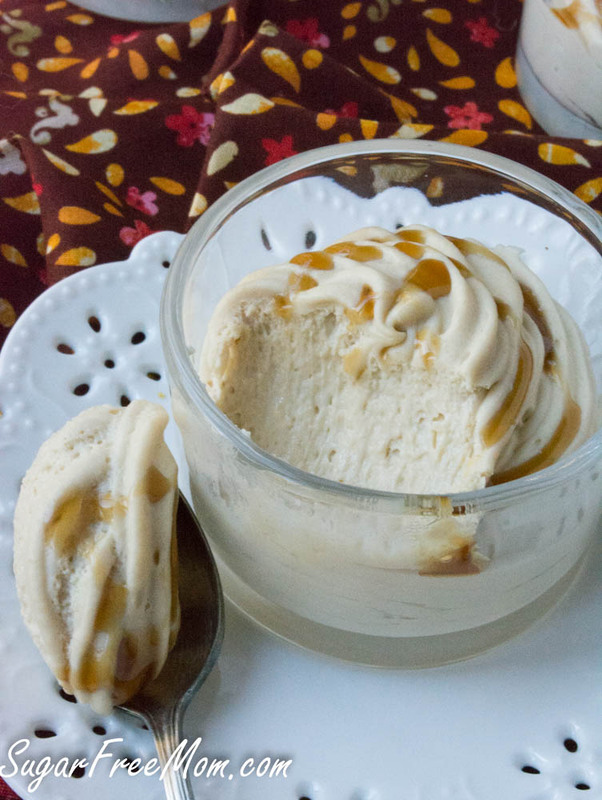 Using Sukrin Fiber Gold Syrup is why this recipe tastes so much like butterscotch. If you’ve not tried it, I highly recommend it. It pours like maple syrup. It’s fabulous on pancakes, waffles, a little drizzle for fruit, and great to sub maple syrup in recipes. 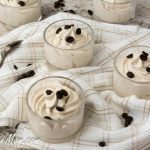 If you love scrumptious, creamy, no bake recipes as much as I do, you will love this recipe just as much as the kids! 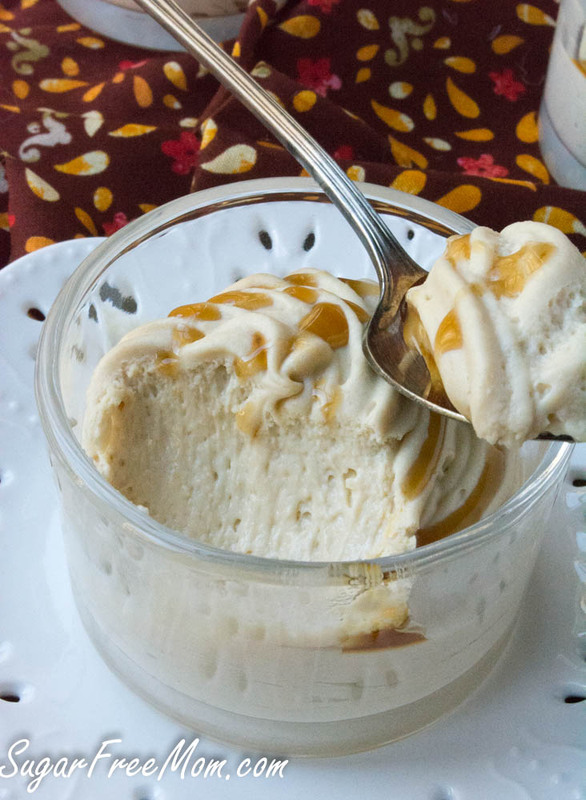 The Sukrin Fiber Gold Syrup is really what makes the butterscotch flavor. If you have some thing else you know of that pours like maple syrup and is sugar free, please let me know. Otherwise I highly recommend buying the Sukrin syrup, it is delicious! If you are not sugar free, then go ahead and use maple syrup or honey to replace the Sukrin I used, also remove the vanilla stevia as it won’t be needed. The protein powder is needed and can not be eliminated. It is what helps this mixture thicken without the use of gelatin. I drizzled more Sukrin syrup over the top for the pictures. There are natural sugars in the dairy products. Place all ingredients into a stand mixer except heavy whipping cream. Blend on high, scrape down sides, until smooth. Change to whisk attachment and pour in heavy cream. Blend on high 5 minutes or until thickened and whipped in texture. (mixture will also thicken as it sets in the fridge). Spoon into a pastry bag to swirl into glasses. Place in the refrigerator 2-3 hours or overnight. I don’t have Sukrin Gold but I have sugar free maple syrup and Sugar Tree Imitation Honey. I also have sugar free Cinnamon Brown Sugar Torani. I think I’ll try the syrup first. 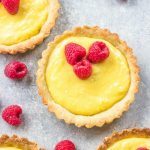 I use your Lemon Mousse recipes all the time and a few variations using Torani Syrups and everyone loves them, even the non-low carbers in the family! I Will replace it with Better stevia butterscotch flavour, it is Very good! 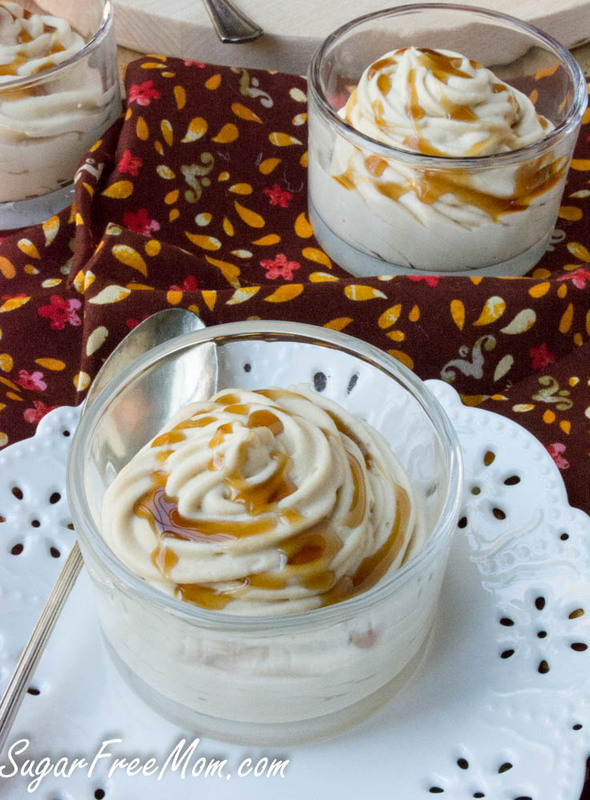 Just wondering what did you do with the whipping cream? Directions #3, pour in mixer. 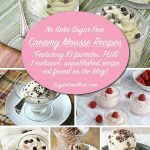 This mousse sounds delicious! I love how simple the recipe is. This would be perfect to make ahead of time for a dinner party! 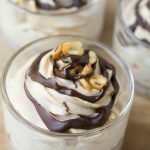 I am just starting to try to reduce (and eventually eliminate) sugar from my diet, and I absolutely love the idea of this recipe! However, is there an alternative to the Stevia, or will it work if I try eliminating it? I just cannot palate Stevia at all, I’ve tried and it does not work for me. I know, I’m weird. 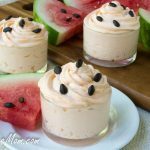 So many low-carb dessert recipes that I’ve found call for Stevia, and I really want to try this mousse, but I’m just at a loss. 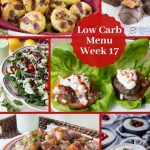 Thank you for coming up with awesome sugar-free recipes to share! 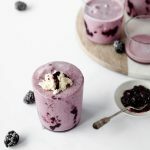 Could you use geletin instead of whey protein? 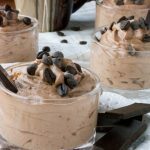 Hi- This mousse looks wonderful! But would unflavored protein powder change things much? I have a big jar of it and I really don’t want to buy another big jar of another flavor. Thanks!